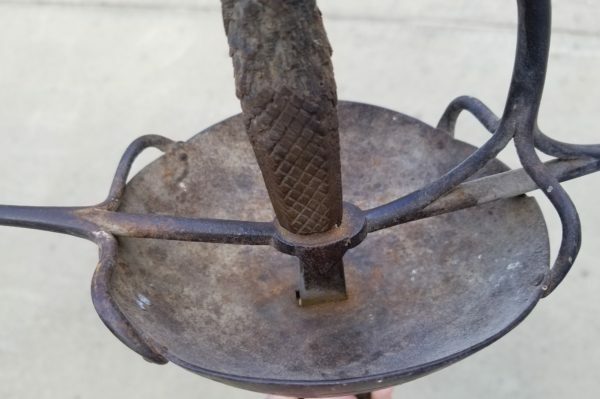 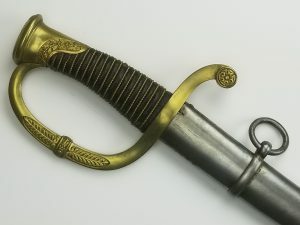 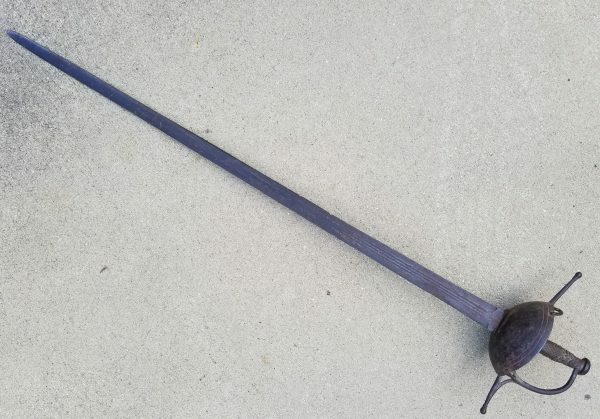 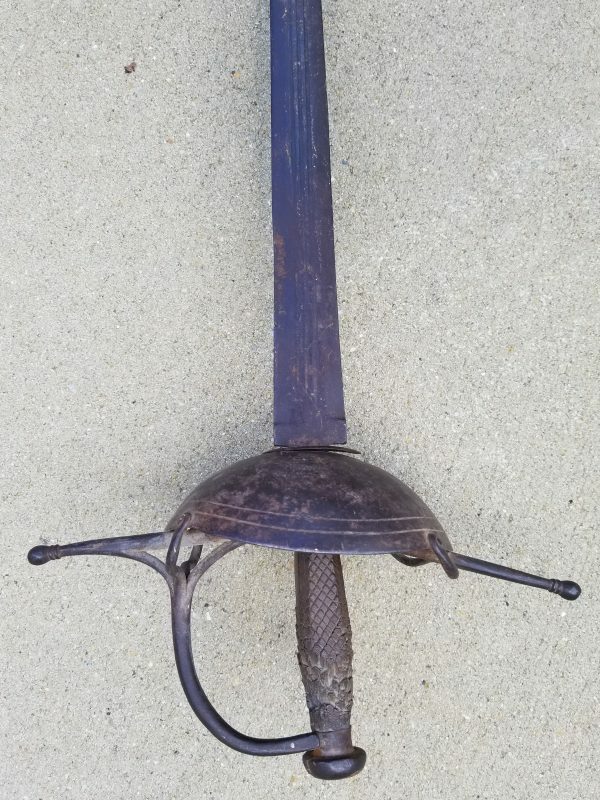 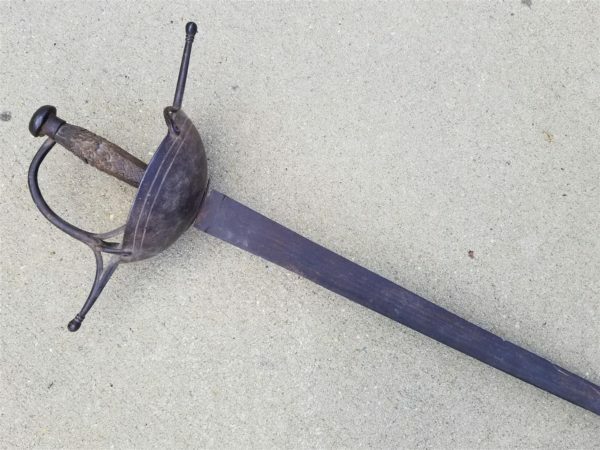 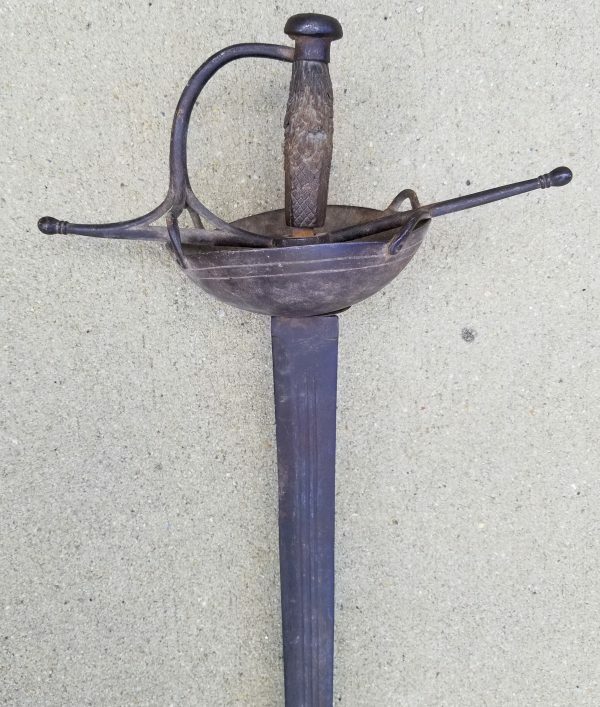 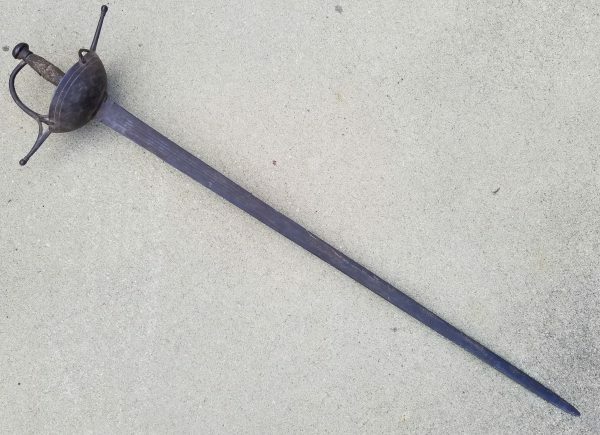 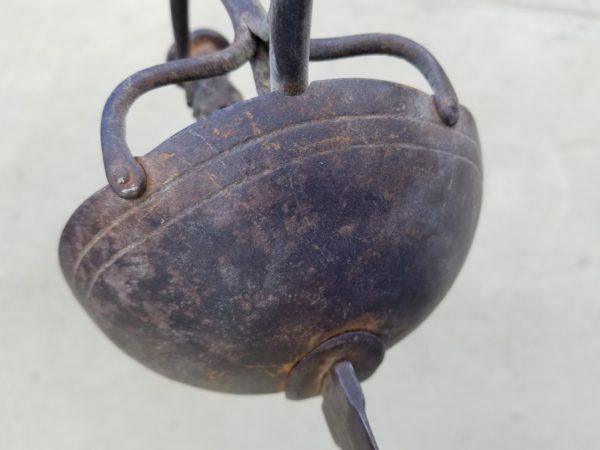 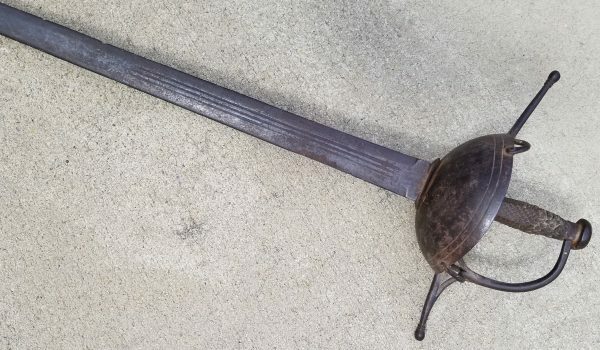 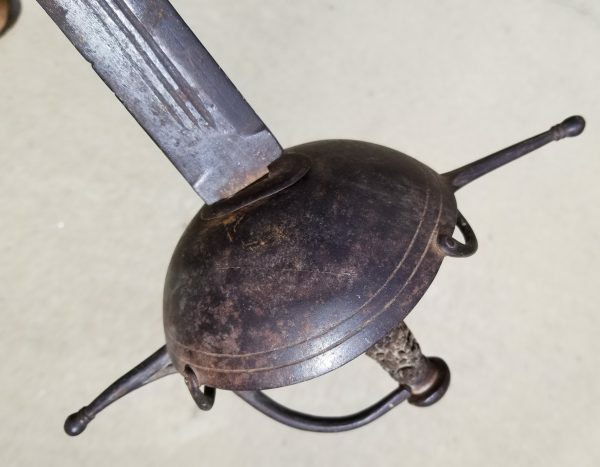 17th Century Colonial period Spanish Cup Hilt Rapier also called a Soldier’s Sword and Caribbean Rapier as illustrated in Arms and Armor in Colonial America, Peterson, pl.78, and Spanish Military Weapons in Colonial America, Brinkerhoff & Chamberlain. 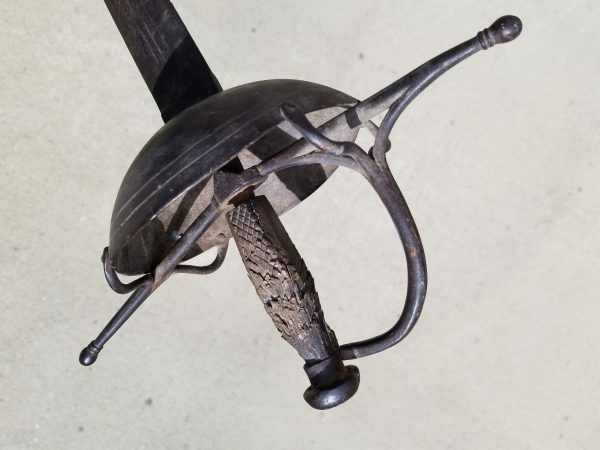 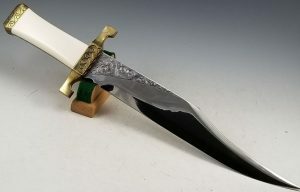 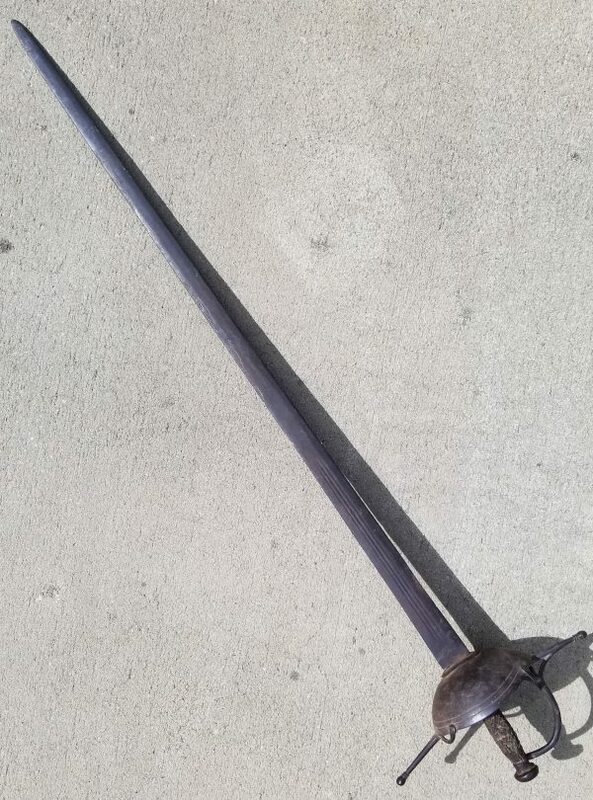 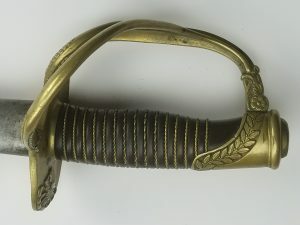 A classic sword produced by blacksmiths and cutlers in the New World, a cruder version of contemporary Continental swords that lacked aesthetic concerns and were utilitarian and functional weapons more readily produced. 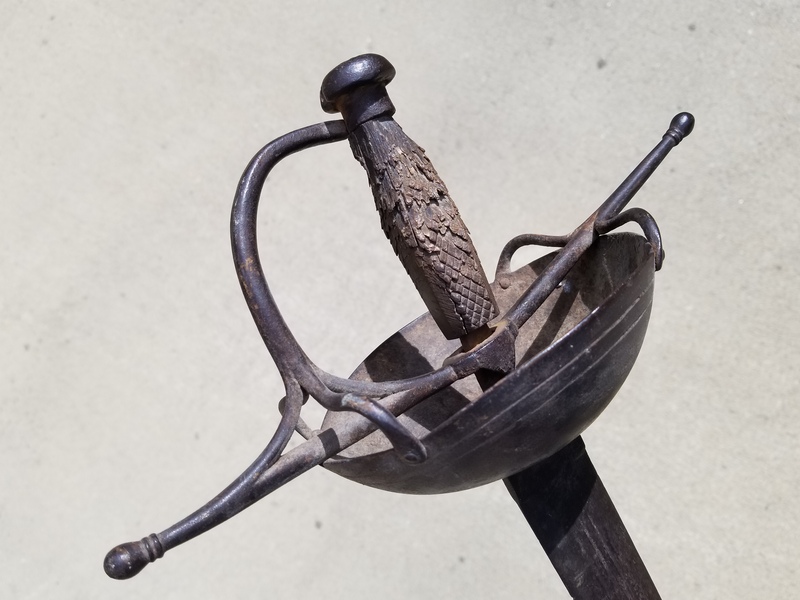 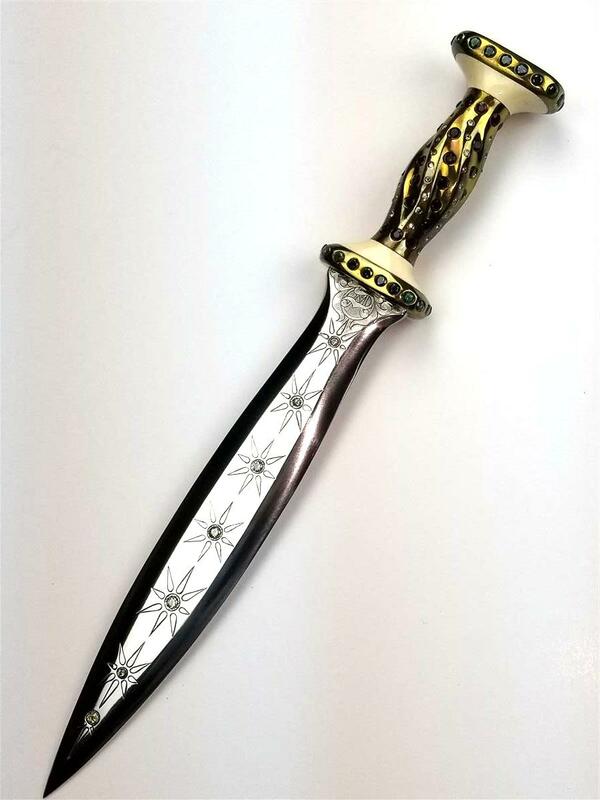 The well made hand forged steel blade retains its edge along with a few nicks from obvious use and has remnants of engraving in places.